"Winter is coming" at last. These products will help you drink like a Lannister, wear your colors like a Stark, and fight off those pesky White Walkers poking havoc at your appetite. 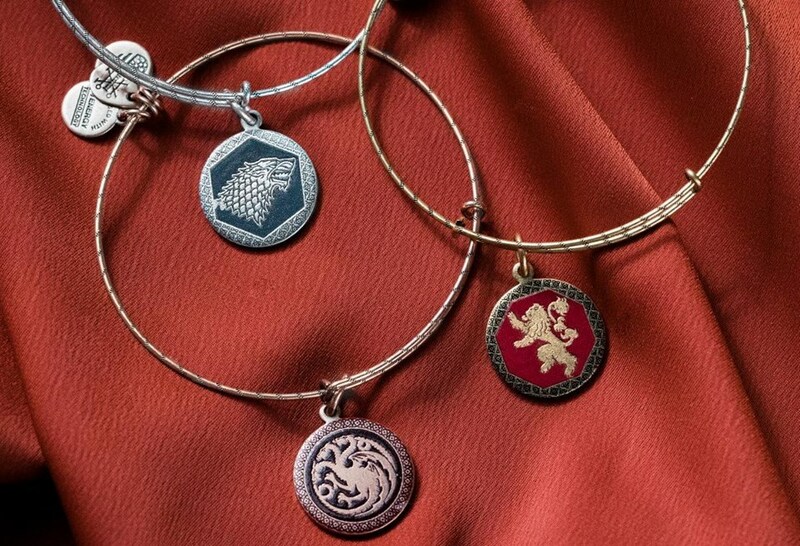 Alex and Ani is offering Game of Thrones-themed bangles for $39 apiece, necklaces for $69 each, and earrings for $69 -- check them out here! Each piece sports a house symbol, a White Walker, or Arya and Sansa Stark themes. I will be sporting a Targaryen and Stark bracelet myself -- #DaenerysAndJonSnowForTheThrone! Wear the mark of your house proudly as you watch the final battle unfold. Which house are you cheering for -- Targaryens, Stark, or Lannister? Make sure to stock up on your house colors or all of them, no judgment here! Of course, this is the perfect way to celebrate the premiere -- wine is the main drink in the show, after all! Don't you remember when Cersei Lannister *shivers* got plastered while hiding out during the battle and the possible overtaking of House Lannister? 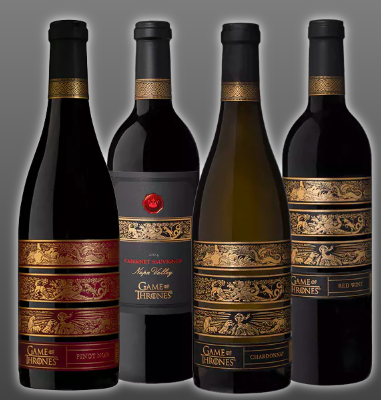 Grab your bottles of Game of Thrones red wines and chardonnay to kick off the party. (Drinking game idea: Drink every time "White Walker" is mentioned!) You can find these wines on their website for $20 each or Total Wine for $19.99 each, as well as Game of Thrones glasses for $12.99 (in stores and online). Mountain Dew is giving away a special-edition can, called "A Can That Has No Name." When the can is warm, it presents a blank white label. 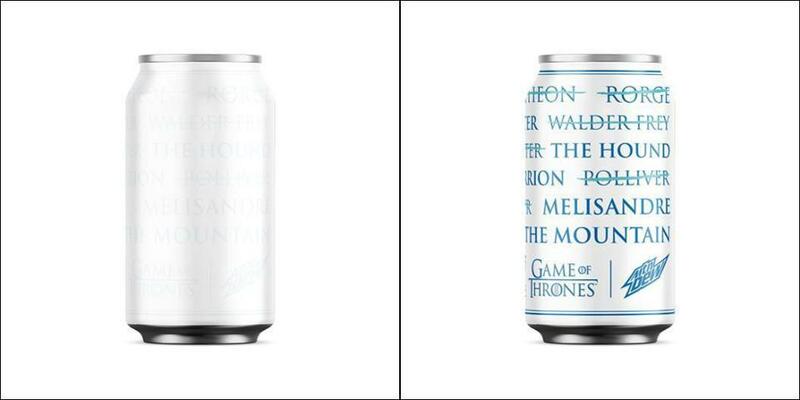 Once it's refrigerated and chilled, the can reveals Arya Stark's kill list. The Mountain Dew competition that was rewarding the cans has ended, but you can still find them on eBay for $75 and up. Nabisco has stepped up to fight for the throne (*cough* stomach) to satisfy your sweet cravings during the night of the premiere. 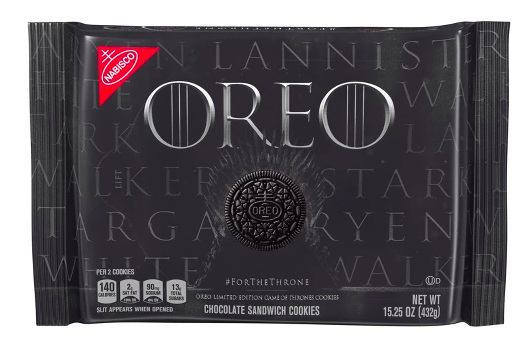 The Game of Thrones Oreos will be the classic cookies and cream flavor but with a twist -- the back of the cookie will feature the designs of the dragon (Targaryens), wolf (Starks), lion (Lannisters), and a White Walker. The outside packaging is Game of Thrones-themed and is chillingly (get it, cause "winter is coming"?) attractive. These are being sold in most retail stores for around $3 each. Your pets need to celebrate the premiere, too! 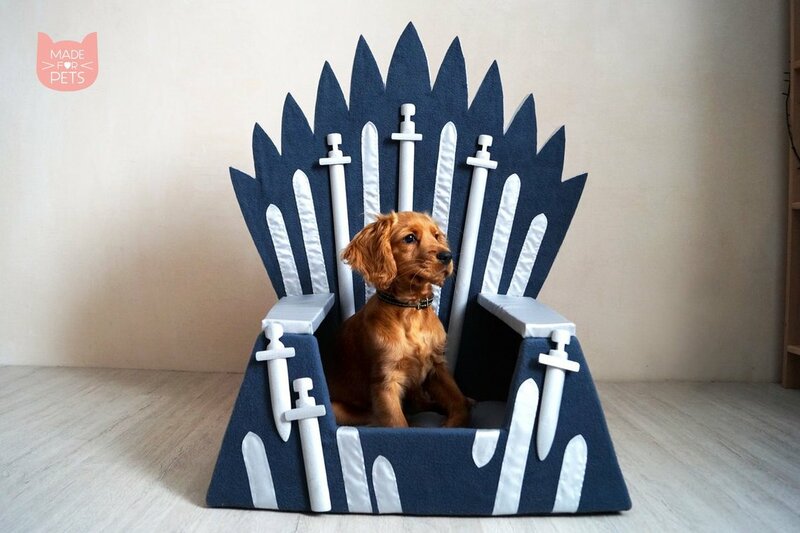 The Iron Throne Pet Bed does not come cheap; it will set you back $275. But that's the price to satisfy your fur king or queen. Will they defeat the White Walkers and stake their claim on the Iron Throne? Just watch your little ones battle it out for their turn as the leader of the household! This pet bed is being sold on Etsy and was made just for your fur babies -- check it out here! Will you be getting one of these items for the premiere? Which one is your favorite? Tell us in the comments below!